Decluttering your home is not only a great way to get organized and keep your house clean, but it can also benefit your health. There are several items in your bedroom right now that are keeping you from getting the sleep you need. 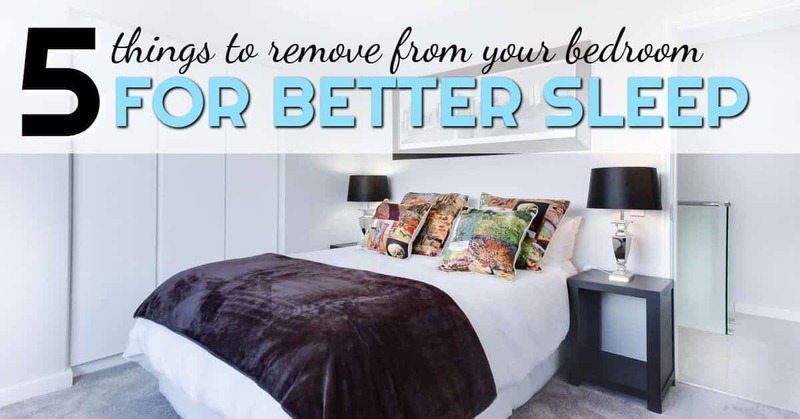 Remove these five things from your bedroom today to instantly get a better night’s sleep. The place you rest your head at night should be clean and comfortable. If you’re laying your head on old, flat pillows, you’re doing yourself a disservice. Check to see if your pillows are ready to be replaced by doing this simple test: fold the pillow in half. If it doesn’t instantly bounce back into shape, you should get rid of it. Finding the right replacement pillow depends on how you sleep. If you sleep on your back, choose a thin pillow with a little extra thickness on the bottom to cradle your neck. Side sleepers need a firm pillow that bridges the space between your ear and shoulder. And if you sleep on your stomach, pick a pillow that is thin (or no pillow at all). Keeping an overflowing pile of dirty laundry in your bedroom floor is a sure way to trigger stress before you go to sleep. Seeing that pile of laundry that needs to be tackled will keep your mind racing about all the other chores you need to take care of. One way to control the laundry clutter is to add a hamper with a lid to your bedroom. Then, before you lay down, make sure all the dirty clothing is hidden away in the hamper. Or, consider moving your laundry basket to the laundry room and make sure to move the dirty clothing that needs to be washed to the laundry room before you head to bed at night. While it’s great to relax in bed and read before you fall asleep, keeping extra books and magazines around the room is an easy way to clutter your bedroom. If you like to read before bed, keep one book and one magazine next to your bed on the nightstand. Then, move all the extras to a different room or get rid of them all together. If you have already read the book or don’t plan on finishing the magazine before you get a new issue in the mail, you should think about donating them to your local library to clear a little bit of clutter from your home. We’re all very connected to our phones, but that connection is likely hindering your sleep. There are so many reasons to keep your cell phone out of your bedroom, but the biggest reason is that reading on that tiny screen in bed makes it much more difficult to fall asleep. And you know that if you have the phone sitting on your nightstand, you won’t be able to resist the urge to check it before you go to sleep. If you use your phone as an alarm clock, consider purchasing a new clock for your bedroom and charging your phone in your living room or home office each night. Each room of our home has a different job – the kitchen is for cooking and eating, the bathroom is for keeping clean, and our bedroom is for sleep. And while we often use our bedroom for other duties, such as an office or storage space, we shouldn’t! The extra clutter caused by moving a desk into the corner or shoving a box of extra sweaters under the bed only adds unneeded stress and frustration in a place that’s supposed to be calm and serene. To ensure your bedroom is used exclusively for sleep, consider the items you need to sleep each night: a bed, pillows, bedding, a nightstand, and a lamp. And while it would be nice to only have those items in the room, I understand that your bedroom probably needs a few other essentials to make it functional, like a dresser, closet, and clothing storage. 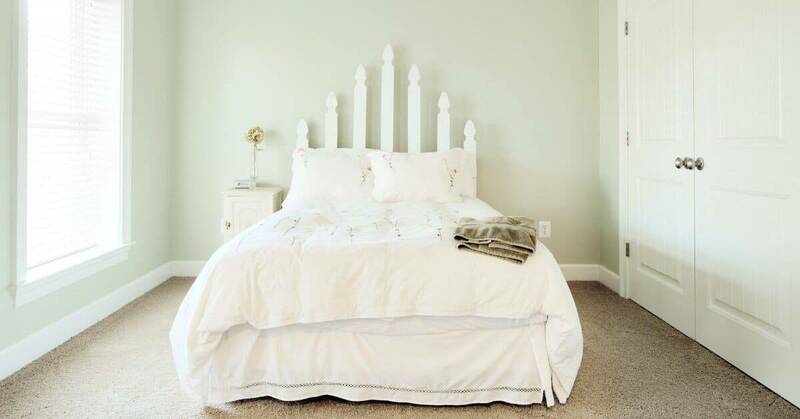 But aside from those essential items, your bedroom should not be home to other things, because these extra items are affecting your sleep, whether you realize it or not. 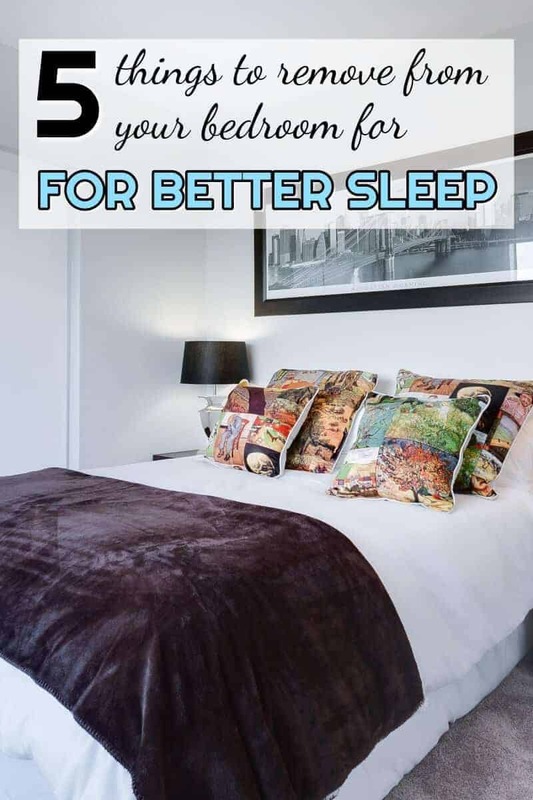 That means you need to remove all the extra clutter from your room to improve the quality of sleep you’re getting. So, move out the exercise equipment, home office set-up, school supplies, paper clutter, and all other miscellaneous items that don’t belong. And while you’re decluttering your bedroom to turn it into a more relaxing space, you should also consider reevaluating the room’s décor. If you have old artwork, photos, and other decorative items in your room that you’re not fond of – take them out too. These unwanted decorations can cause extra stress, as well, which will only make it difficult to relax and enjoy a good night’s sleep.